Buy Miss L a coffee. 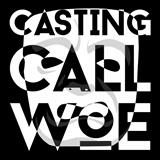 ko-fi.com/castingcallwoe - Ko-fi ❤️ Where creators get paid by fans, with a 'Buy Me a Coffee' button. Actress and writer who exposes the very worst casting calls out there, from the sexist to the downright absurd. Trawling casting websites is not only time-consuming but also soul destroying. If you fancy perking me up a bit with a coffee (or tea) as I wade through sexist awfulness, it would be hugely appreciated and will allow me the time to find even more horrors and help promote better female roles. Secured Payments. Support goes to Miss L's account. Upgrade Miss L to a yearly Gold Membership with a one-time payment.